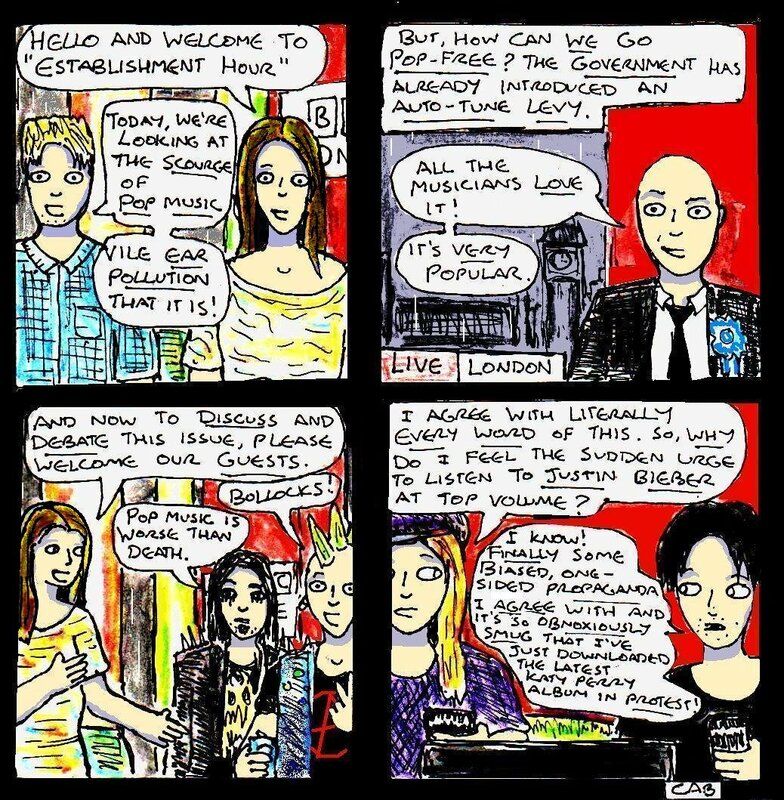 Well, in case you missed any of it, here are all four comics from my “Damania Reconstituted” webcomic mini series in one easy-to-read post 🙂 You can also find lots of other comics featuring these characters on this page too. Although I’d originally just planned to post a single-panel comic titled “Wot? No comics?” this month because of worries about time (and, yes, ironically, realistic landscape paintings are quicker/easier to make than comics), I was determined that there would be a mini series posted here this month. However, it ended up being another four-comic mini series – although it turned out better than the previous one 🙂 Seriously, the second comic in this current mini series still makes me laugh. 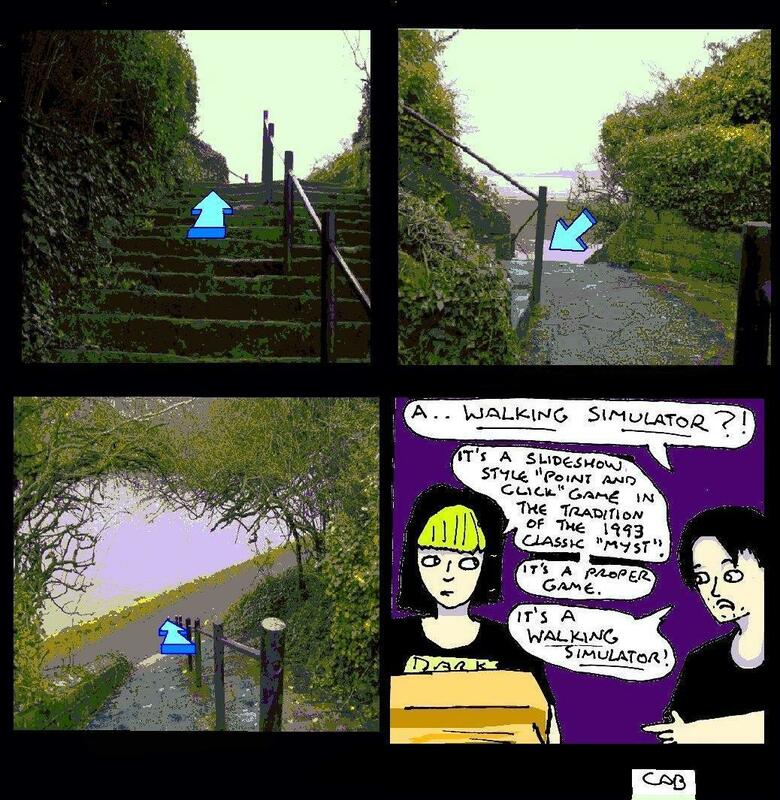 Plus, in a moment of either genius and/or pure laziness, I also worked out how to add photographic backgrounds to two of the comics in this mini series – which speeded up the comic-making process slightly (and provided some relief from the monotony of plain red and purple backgrounds too LOL!). You can click on each comic to see a larger version of it. All four comic updates are also released under a Creative Commons BY-NC-ND licence. Well, in case you missed any of it, here are all four comic updates from my recent “Damania Reduced” webcomic mini series. You can also find lots of other comics featuring these characters on this page. As usual, these four comic updates are released under a Creative Commons BY-NC-ND licence. You can also click on each comic update to see a larger version of it. Well, in case you missed any of it, here are all six “episodes” of this year’s Christmas webcomic mini series in one easy-to-read post. If you want more Christmas comics, then you can check out the previous two “cynical Christmas” mini series here and here. Likewise, lots of other comics can also be found on this page. As usual, all six comic updates are released under a Creative Commons BY-NC-ND licence. You can also click on each comic to see a larger version of it. Well, in case you missed any of it, here are all eleven pages (including the cover) of my new Halloween comic in one easy-to-read post 🙂 You can also find loads of other comics featuring these characters here too. 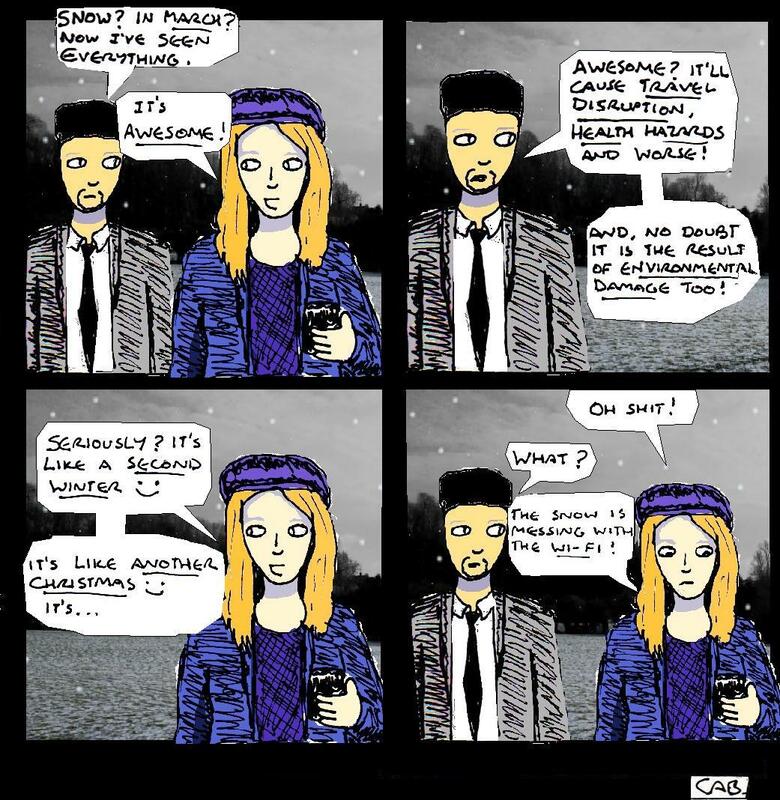 This comic went surprisingly well and was a lot of fun to make 🙂 The initial inspiration for it was a phase I went through where I re-played “Vampire: The Masquerade – Bloodlines” almost obssessively. 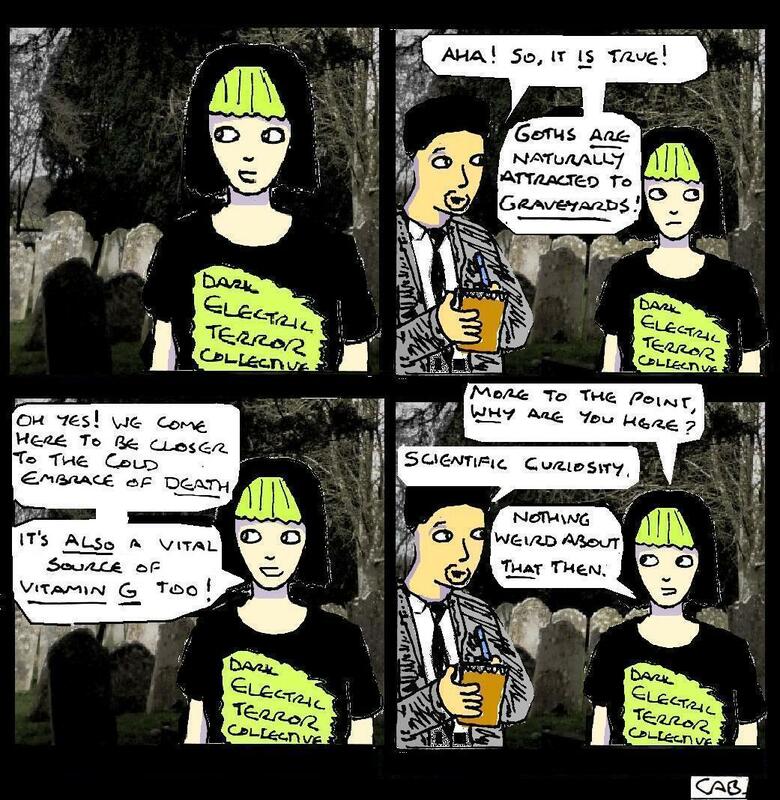 I then realised that whilst I’d made a haunted house comic in 2015, a zombie comic in 2016 and an “evil alternate dimension” comic in 2017, I hadn’t made a vampire comic yet. As usual, all pages of this comic are released under a Creative Commons BY-NC-ND licence. Likewise, you can click on each page to see a much larger version of it. Well, in case you missed any of it, I thought that I’d collect all six comic updates from my “Damania Reconnected” webcomic mini series in one easy-to-read post. You can also find lots of other comics featuring these characters on this page. Although this comic follows on from the events of this mini series and this mini series, it also hopefully works a stand-alone mini series too. Interestingly, this mini series was originally going to be a “Star Trek” parody comic. But, the day after I’d planned that idea out, there was a power cut, and I suddenly thought of a much better idea. And, well, I was actually inspired enough to make all six updates within the space of about 2-3 days. As usual, all six comic updates are released under a Creative Commons BY-NC-ND licence. You can also click on each comic update to see a larger version of it too.